Doha, 07 February 2017: Doha Festival City, Qatar’s anticipated entertainment, retail and hospitality destination, has announced a number of initiatives that will position it as one of the region’s leading Smart Malls, utilising the latest technologies to offer a convenient and stress-free experience for visitors when it launches in April. Digital wayfinders will be conveniently located throughout the Mall. “Doha Festival City is spread out over a total site area of 433,000sqm, so our interactive directory is sure to be of assistance for those seeking guidance on any of our 500 leading retailers and extensive entertainment offerings. Whilst traditional printed Mall Guides will also be available, digital wayfinding offers a quick and easy alternative and visitors can also search events, offers and find out what entertainment is happening in the Mall.” continued Trevor Hill. Doha Festival City will also offer visitors seamless connectivity with complimentary Wi-Fi to ensure visitors can find and share information and experiences. Whilst before even setting foot in the Mall, customers can begin their interactive journey by visiting the new website at www.festivalcitydoha.com. The website offers an optimised experience where they can browse special offers and the Mall directory on all devices, from desktops and tablets to mobile on-the-go. Once the visitor arrives at the Mall, the smart carpark will allow them to easily gauge available spaces through a red and green light parking system essentially streamlining the parking experience. Doha Festival City has more than 8,000 easy-to-access parking spaces, across multi-story, full basement and surface carparks. It is further enhanced with dedicated ramps to and from Shamal Road, all of which have been carefully designed to ensure that access and parking at Doha Festival City are stress-free and convenient experiences, from arrival to departure. Doha Festival City is also home to state-of-the-art indoor and outdoor activity areas, including four unique theme parks that bring with them cutting-edge technology to completely revolutionise mall entertainment. ‘Juniverse,’ harnesses the power of dynamic learning to inspire, educate and entertain. ‘Virtoucity’, will merge the virtual world with reality, to deliver an immersive digital experience. Snow Dunes, will be Qatar’s first indoor snow park themed around a fantastical Arabian town set in the distant past and Angry Birds, the global gaming sensation and Hollywood blockbuster movie from Sony Entertainment will also launch its its first theme park at the mall. Additionally, VOX Cinemas, is also set to revolutionise the cinema experience for audiences in Qatar with 18 digital screens including four new concepts - 4DX, Theatre by Rhodes, MAX and VOX Kids – which are exclusive to Doha Festival City. 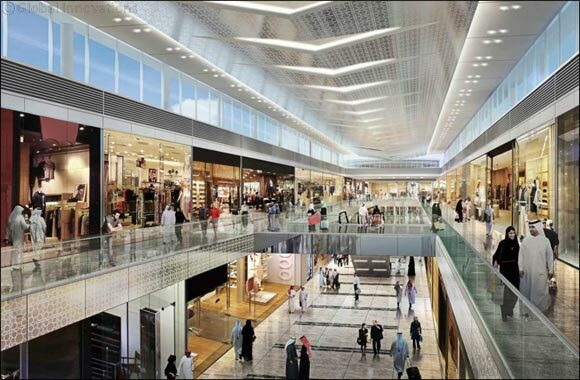 As it prepares to welcome around 20 million visitors per year, the QAR 6.5 billion Doha Festival City has selected ELAN Media as its exclusive media partner as part of a multi-year deal to provide best-in-class turnkey solutions to the Mall. The innovative, in-Mall advertising will include three new formats for Qatar - The Axis, The Runway and The Torch, Qatar’s first Digital Billboard - all of which are now available for advertisers to secure.